This article is for many women, including me: Extra weight, bad habits and bad luck in our romantic lives is something most of us have in common with each other and the book/movie character Bridget Jones. So we might as well have fun with it. * Don’t think that being a smoker always kills one’s appetite. Bridget smokes and she is well, not skinny. At all. In the movies, she is played by Renée Zellweger. She is skinny in her regular Hollywood life and movies, but she gained about 28 pounds (13-14 kg.s) for this role.So Bridget is a plump yet (plainly) pretty girl who I pretty much like the rest of us. I mean, I don’t wake up to look like the made-up, red-carpet version of Nicole Kidman. Do you? * Bridget is romantically very unlucky, until she falls for Mr. Darcy. Mind you prejudices and pride get in their way for the most of the first movie’s duration. 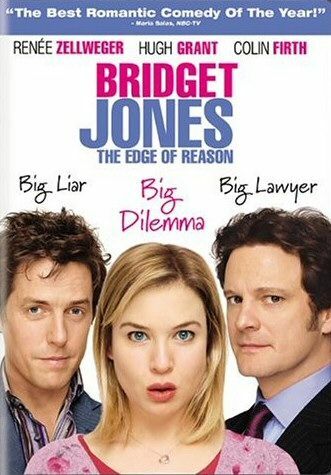 And yes, Bridget Jones has been inspired by Jane Austen's classic Pride and Prejudice. She does have a loving relationship with fast food and booze. - When she does exercise, it is usually not with the greatest of plans. - She doesn’t have the perfect hair. - She is not a great cook. - She might go into a buying frenzy for self-help books but she hasn’t been known to apply their tips. - She makes lots of resolutions. But can she follow them? Not often, no. But most importantly, I am underlining the fact that she eats when she is depressed, her attempts at a healthy diet and lifestyle are usually either futile or short-lived, she has many embarrassing moments and she is couple of sizes larger than she actually wants to be. I am not saying that by accepting the inner Bridget we will find our own Colin Firth – (sorry I was supposed to say Darcy;)) but we will at least acknowledge our funny weaknesses and we won’t feel alone.